Click on "Buy Now" Button to Enter Paypal Secure Website and Select Don't have a PayPal account? to Enroll with credit/debit card or bill me later. 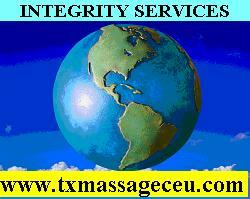 To access class after enrolling, use navigation bar at top to access all classes at this web site: www.txmassageceu.com. CE 1608 TX Massage Therapy Instructor MI2672 Daniel C. PhD EMT LMT MTI, Granbury, TX 76048. Ill-health changes the anatomy and physiology of affected organs, some of which can be observed visually, elicited through physical examination or confirmed through biomedical analysis. Understanding how anatomical changes contribute to physiological signs and symptoms will help practitioners identify the pathology, appreciate its origin and development and justify prescribed interventions in a way which can be upheld by critical external scrutiny. Reflexology contributes to a holistic approach to care and has recently improved its credibility as a discipline which supports orthodox care. Several research publications have identified possible theories and principles for the mechanism of action of reflexology, but more research to explain its contribution in identifying ill-health and diseases, as well as appropriate treatment modalities, is needed. This health science works on the hypothesis that the dysfunctional states of body parts could be identified by observing certain skin features and be rectified by stimulating certain specific areas mapped on feet, hand and ears. Research has indicated that reflexology can lead to pain reduction, glycemic control, nerve conductivity, and thermal and vibration sensitivities. This class explores the anatomical and physiological basis of reflexology, its history, theory and hypothesis, and some of the theories for the mechanism of action. The class includes interactive body maps/charts, power points, videos, and class notes followed by a quiz with unlimited attempts to pass. A "trigger point" (TrP) is a thick knot in a muscle that is palpable and tender (even painful to the touch). Trigger points can be caused by: training errors, inadequate preparation, worn shoes or equipment, poor biomechanics, muscle fatigue, poor flexibility, nutritional factors (vitamin deficiency), psychological factors (lack of sleep, stress). Trigger points are an early warning to a potential serious injury. Painful conditions of the musculoskeletal system, including myofascial pain syndrome, constitute some of the most important chronic problems encountered. A myofascial trigger points is a hyperirritable spot, usually within a palpable tense taut band of skeletal muscle, which is painful on compression and can give rise to characteristic referred pain, motor dysfunction, and autonomic phenomena. Muscle is an orphan organ, no medical specialty claims muscle as its organ. Myofascial trigger points (MTrPs) are widely accepted by clinicians and researchers as a primary source of regional neuromusculoskeletal pain. Each muscle has a characteristic elicited referred pain pattern that, for active MTrPs, is familiar to the patient. MTrP symptoms follow muscle overload, are activated acutely by sudden overload, or develop gradually with prolonged contractions or repetitive activity. Biopsies of MTrPs demonstrate segmental shortening of groups of sarcomeres in individual muscle fibres and possibly waves of contracted sarcomeres. This class explores the anatomical and physiological basis of trigger points, its history, theory and hypothesis, and some of the theories for the mechanism of action. The class includes interactive body maps/charts, power points, videos, and class notes followed by a quiz with unlimited attempts to pass. Traditional Chinese Medicine has mapped out points of meridian pathways on the human body. These points, mapped out and proven by Western science using electrical devices, carry energy called chi. Some points relate to a specific body part, others are more general. The hypothesis is that when these points are stimulated by hand and finger massage, they encourage the body to combat illness. Basically the theory states, the many pressure points that exist along the meridians act as "valves" for the flow of qi. The ancient Chinese healing art of acupressure is similar to acupuncture, but instead of applying needles to certain points on the body, the technique uses finger pressure on these points. Like acupuncture, the theory is postulated that applying pressure “acupressure” on specific points of the body draws on the body's natural abilities to cure itself. The pressure promotes blood flow, releases muscular tension and engages the body's own life force to soothe and heal. Acupressure theory is further described as having the potential to relieve tension, aches and pains, arthritis, even menstrual cramps. It has also been postulated to help relieve the symptoms of insomnia, depression, toothache, dizziness, digestive disorders, nausea, morning, and motion sickness. Acupressure opens these valves to restore the flow of qi and balance the body's natural energy. This class explores the anatomical and physiological basis of trigger points, its history, theory and hypothesis, and some of the theories for the mechanism of action. The class includes interactive body maps/charts, power points, videos, and class notes followed by a quiz with unlimited attempts to pass. In chronic inflammatory conditions in which fibrosis (scar tissue) is sure to advance if tissue fluid and lymph remain stagnant, massage is important in moving lymph and fluid. What is lymph? Lymph is the clear colorless liquid that is between nearly all the cells of your body. It is the liquid seen with different kinds of swelling, such as a sprained ankle or often around the ankles in people with heart or kidney conditions. The lymph drainage system is a series of collecting tubes and filters (lymph nodes) that drain the lymph back into the blood vascular system. Your body depends on the lymph drainage system to remove proteins, waste products and toxins that collect between the cells of your tissues. Your body also depends on this system to trap and dispose of foreign matter, such as bacteria and viruses. When you have a swollen lymph node in your neck you know that the lymph drainage system is working to kill the bacteria or virus that is making you sick. The Lymphatic System consists (1) of complex capillary networks which collect the lymph in the various organs and tissues; (2) of an elaborate system of collecting vessels which conduct the lymph from the capillaries to the large veins of the neck at the junction of the internal jugular and subclavian veins, where the lymph is poured into the blood stream; and (3) lymph glands or nodes which are interspaced in the pathways of the collecting vessels filtering the lymph as it passes through them and contributing lymphocytes to it. The lymphatic vessels are exceedingly delicate, and their coats are so transparent that the fluid they contain is readily seen through them. They are interrupted at intervals by constrictions, which give them a knotted or beaded appearance; these constrictions correspond to the situations of valves in their interior. Lymphatic vessels have been found in nearly every texture and organ of the body which contains bloodvessels. The lymph glands are small oval or bean-shaped bodies, situated in the course of lymphatic and lacteal vessels so that the lymph passes through them on their way to the blood. This class explores the anatomical and physiological details of lymphatics, mechanism of action, and the importance of natural lymph drainage. The class includes interactive body maps/charts, power points, videos, and class notes followed by a partially interactive quiz with unlimited attempts to pass. Muscle fibres are long, thin, tapered cylindrical cells full of the mechanisms required to convert chemical energy into movement. Fibers are arranged parallel to each other and usually lengthways. A sheath of collagen surrounds individual fibers. Bundles of fibers and the whole muscle are surrounded by more connective tissue. Blood vessels, motor neurons (the sort of nerve that innervates muscle fibers) and other nerves wind in between the bundles. Muscle tissue has four main properties: Excitability (ability to respond to stimuli), Contractibility (ability to contract), Extensibility (ability of a muscle to be stretched without tearing) and Elasticity (ability to return to its normal shape). Motion - walking, running etc. Maintenance of posture - standing, sitting etc. The muscular system is responsible for the movement of the human body. Attached to the bones of the skeletal system are about 700 named muscles that make up roughly half of a person’s body weight. Each of these muscles is a discrete organ constructed of skeletal muscle tissue, blood vessels, tendons, and nerves. Muscle tissue is also found inside of the heart, digestive organs, and blood vessels. In these organs, muscles serve to move substances throughout the body. This class explores the anatomical and physiology of the muscular system with interactive charts for muscle locations and muscle details. The class includes interactive body maps/charts with interactive muscle names and descriptions, power points, videos, and class notes followed by a quiz with unlimited attempts to pass. Improves general circulation, as blood passes more rapidly through tissue being massaged. When you get a massage, your circulation is improved due to physical manipulation of soft tissue and chemicals released as a part of your body's response to relaxation. To understand the benefits of massage, you first have to know a little about your circulatory system. Your circulatory system consists of two parts: the cardiovascular and lymphatic systems. These two systems work together to detoxify the body. As nutrient-rich blood travels away from your heart through capillaries, in adjacent tissue cells, nutrients and wastes are exchanged. Fluid taken from the blood, or lymph, transports waste to your lymph nodes where they filter wastes and return fluid to your bloodstream. When your circulatory systems isn't working properly, your blood flow is impaired and your heart has to work extra hard to pump blood. This can cause health problems such as heart attack, stroke, eye disease, kidney disease, muscle pain, dementia, diabetes, influenza and cirrhosis, just to name a few. Massage stimulates the flow of blood and lymph vessels, thus enhancing circulation. Think of a tube of toothpaste: when you apply pressure to the tube, toothpaste flows out of the tube more easily. The same principle applies to your blood and lymph flow when you get a massage. This class explores the anatomical and physiology of the circulatory system with interactive charts and details. The class includes interactive body maps/charts with interactive names and descriptions, power points, videos, and class notes followed by a fully guided interactive quiz with unlimited attempts to pass. Through this system trust is established if healing is to take place both physically and psychologically. The integumentary system is composed of different but related tissue groups that combine to form an organ system that covers and protects the body. This system is composed of skin, hair, nails, sweat and oil glands, and nerve endings, but in massage, our primary focus is on the skin. Skin is our contact with the physical world, the vehicle for sensations of touching and being touched. Skin protects the body—it is the body's first defense. We even reflect our emotions through our skin, either by color, expression, or temperature. Massage is a way to keep the skin healthy, supple, and strong. The skin receives tremendous benefit from massage. Massage helps to remove the top layer of dead cells, improving the condition of the skin and making it look and feel healthier. Circulation is improved, bringing a new supply of blood to the sebaceous glands. As the fresh blood circulates, the sebaceous glands produce more sebum to keep the skin soft and supple. Improved circulation also stimulates the sweat glands, allowing for the release of toxins. At the same time, the blood vessels expand, providing nutrients to the skin. Massage helps to release fatty tissue from the body as well as break up scar tissue. This class explores the anatomical and physiology of the integumentary system with interactive charts and details. The class includes interactive body maps/charts with interactive names and descriptions, power points, videos, and class notes followed by a fully guided interactive quiz with unlimited attempts to pass.